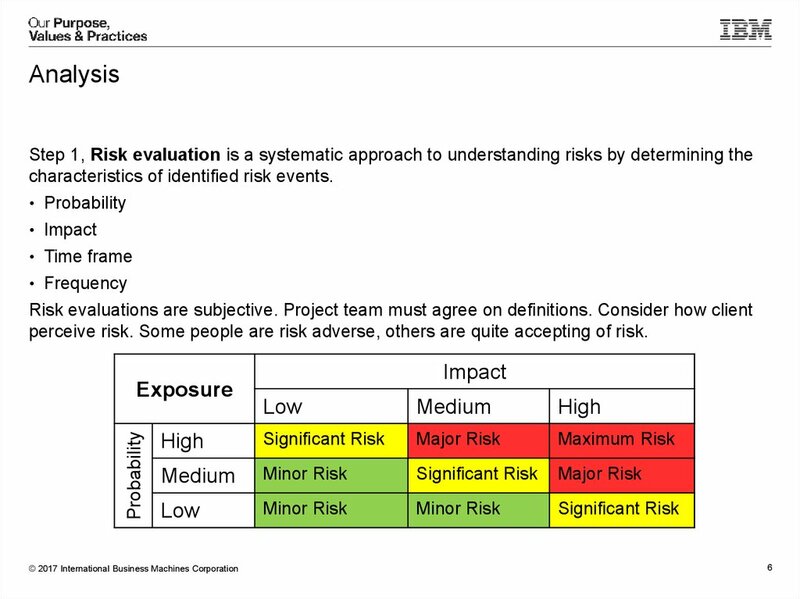 A risk is a potential event or future situation that might adversely affect your project. 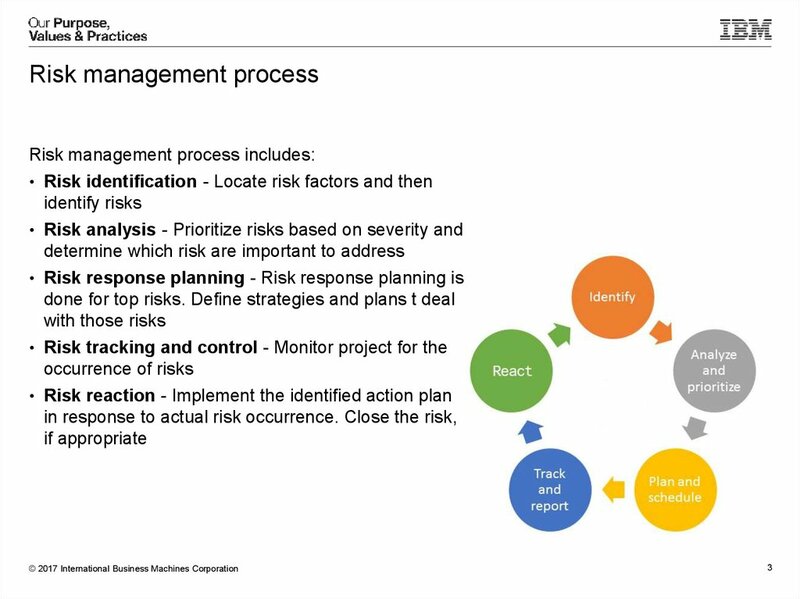 framework for the iterative process of planning, tracking and reacting to risk. 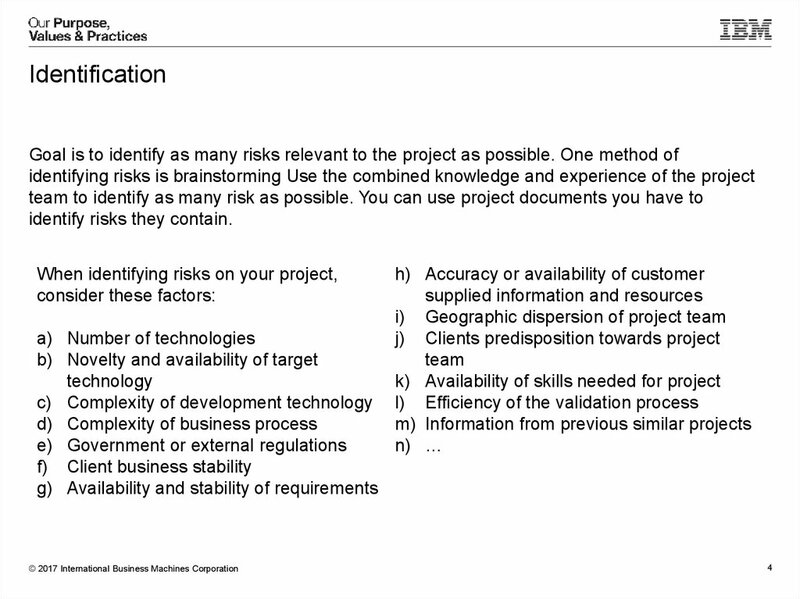 New risks can be identified at any time in the project. 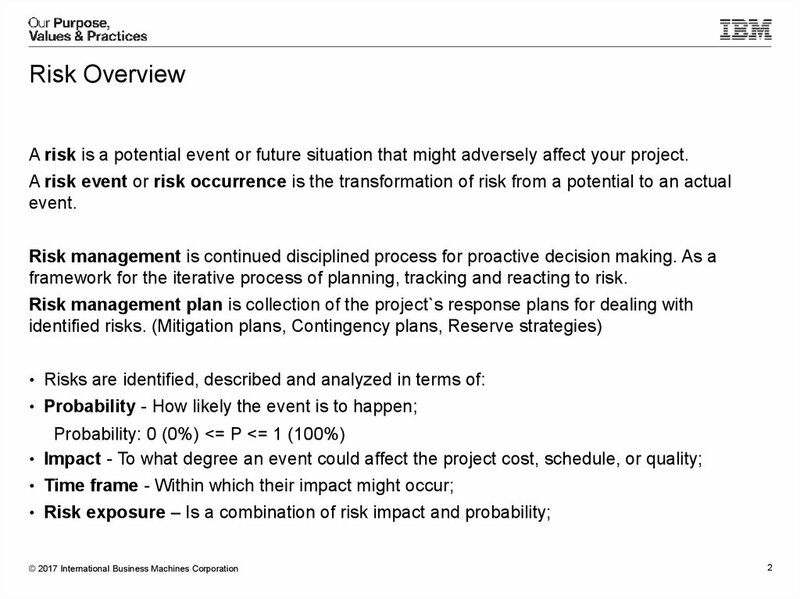 characteristics of identified risk events. 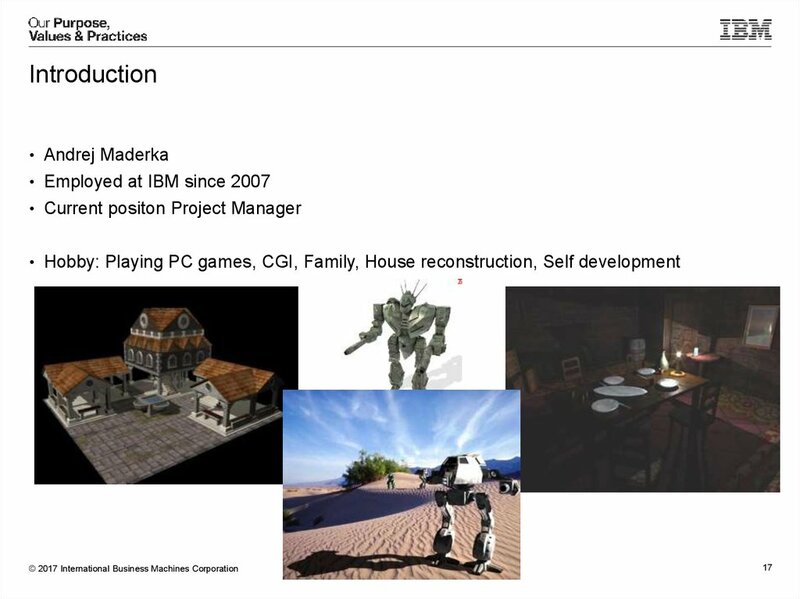 perceive risk. 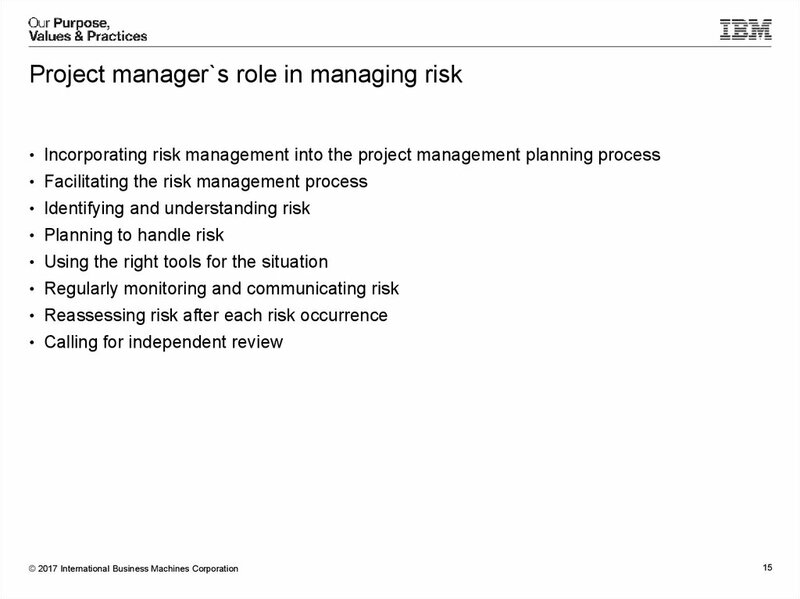 Some people are risk adverse, others are quite accepting of risk. 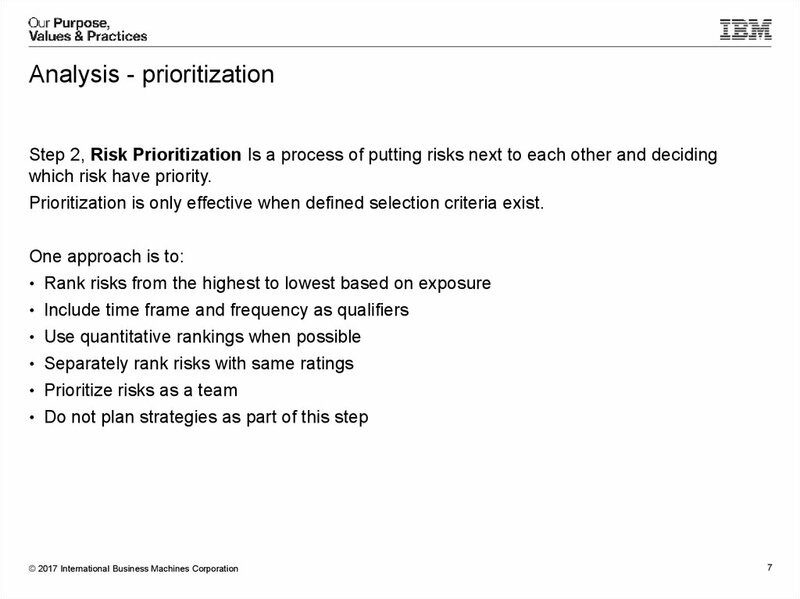 Prioritization is only effective when defined selection criteria exist. 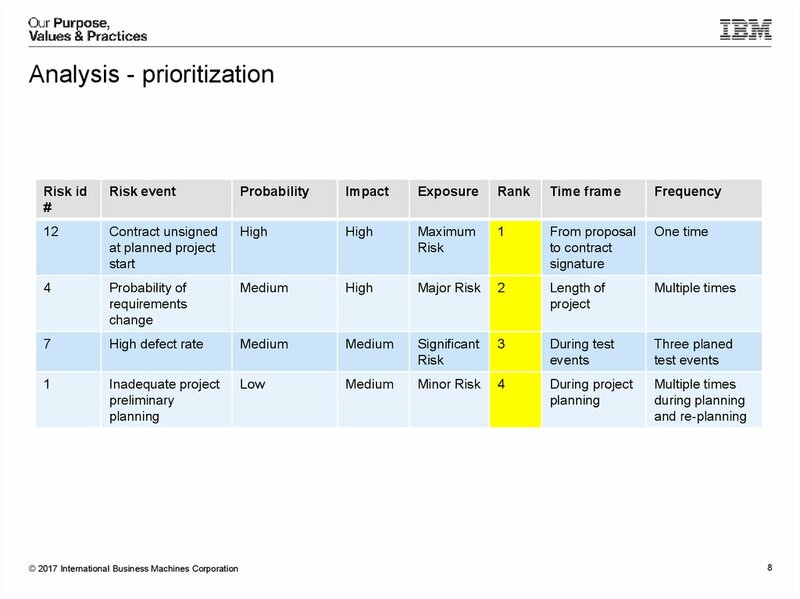 criteria: Which risk is more significant? 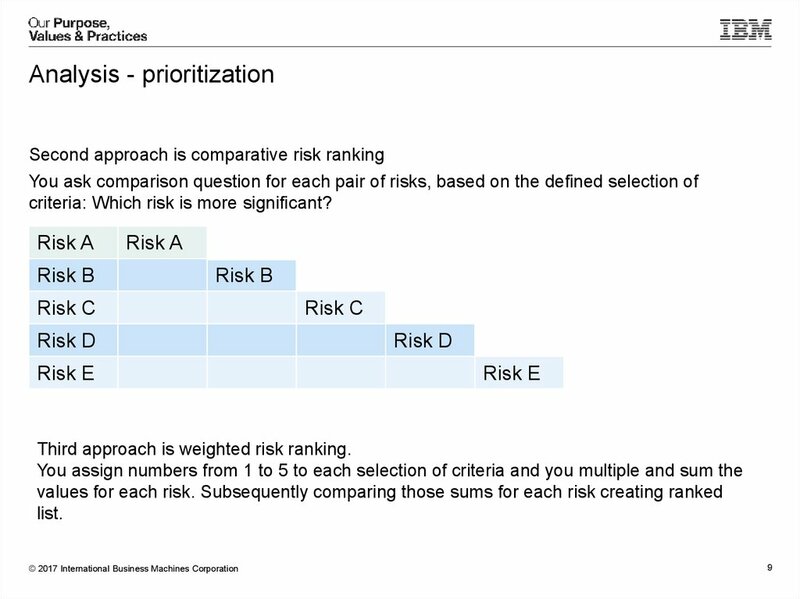 Third approach is weighted risk ranking. 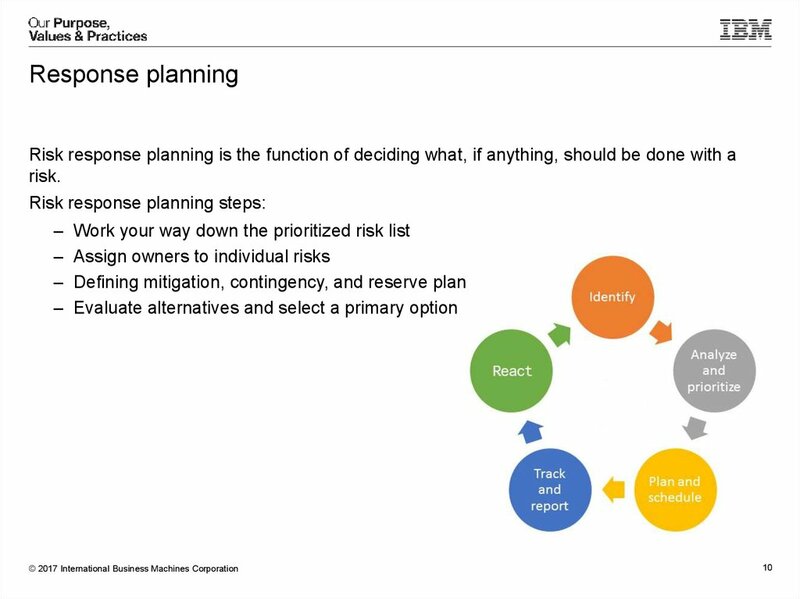 Accept the consequences of a risk occurring without further action. or money. 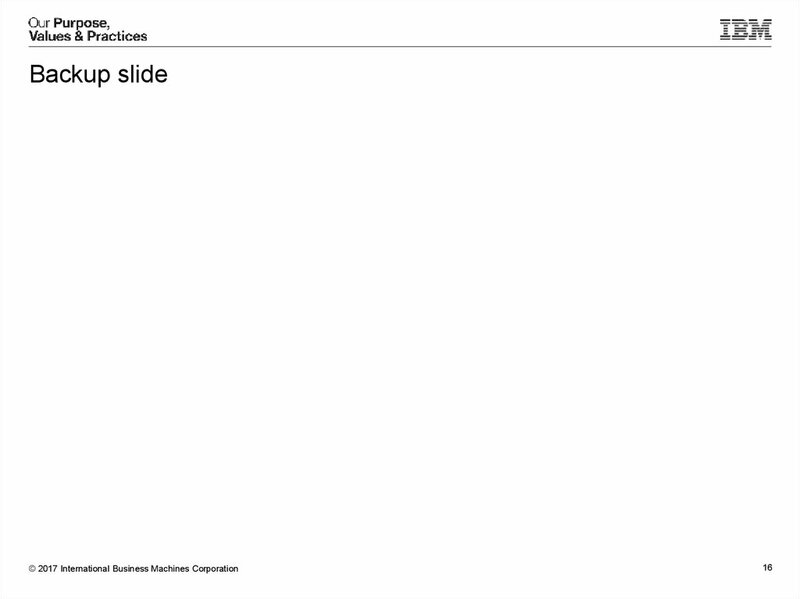 If you do nothing you are accepting the consequences. 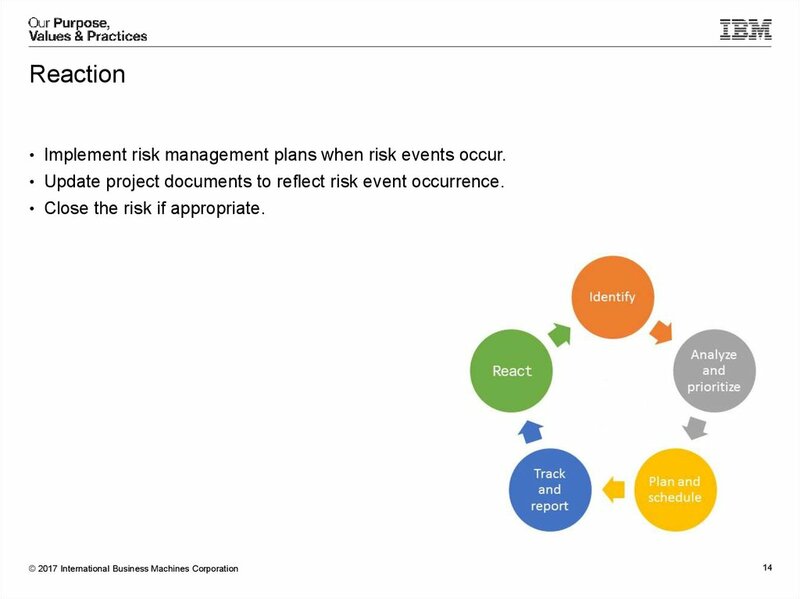 use this to cover the cost of the risk occurrence. 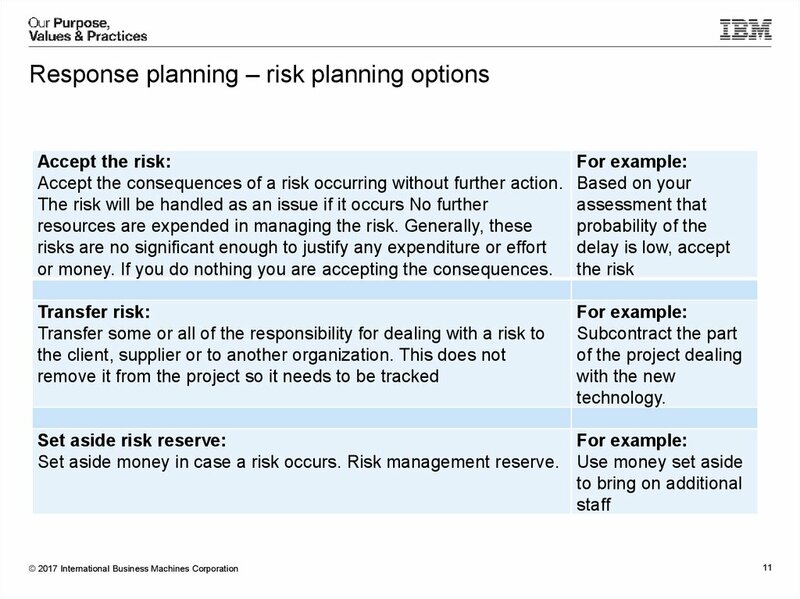 actions to be taken if a risk consequence occurs. 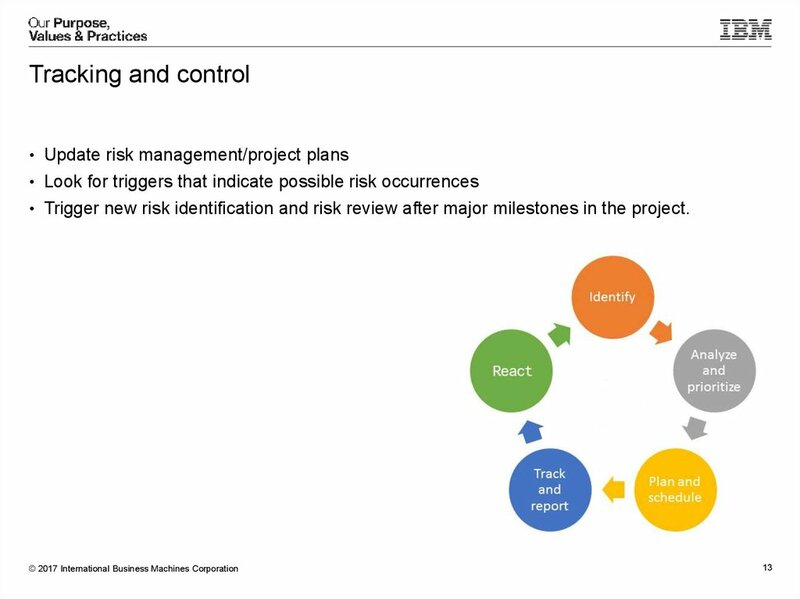 • Trigger new risk identification and risk review after major milestones in the project. 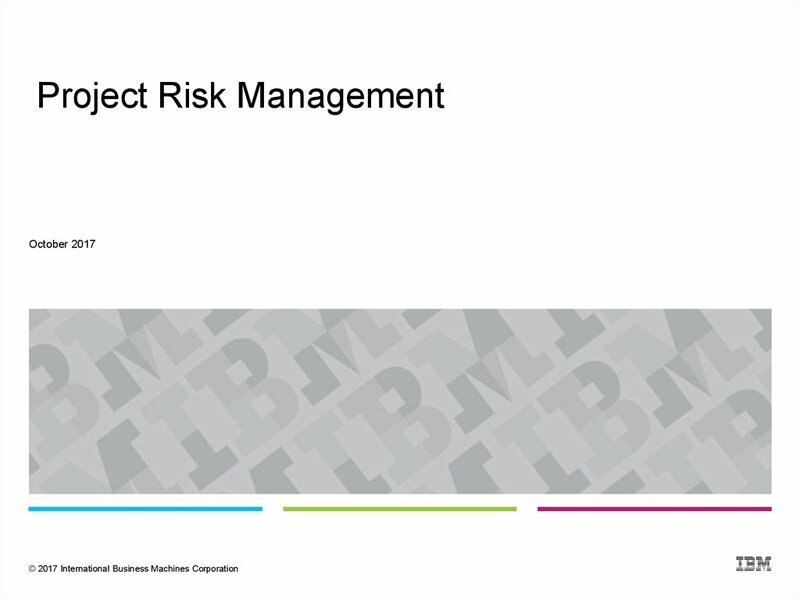 • Implement risk management plans when risk events occur. 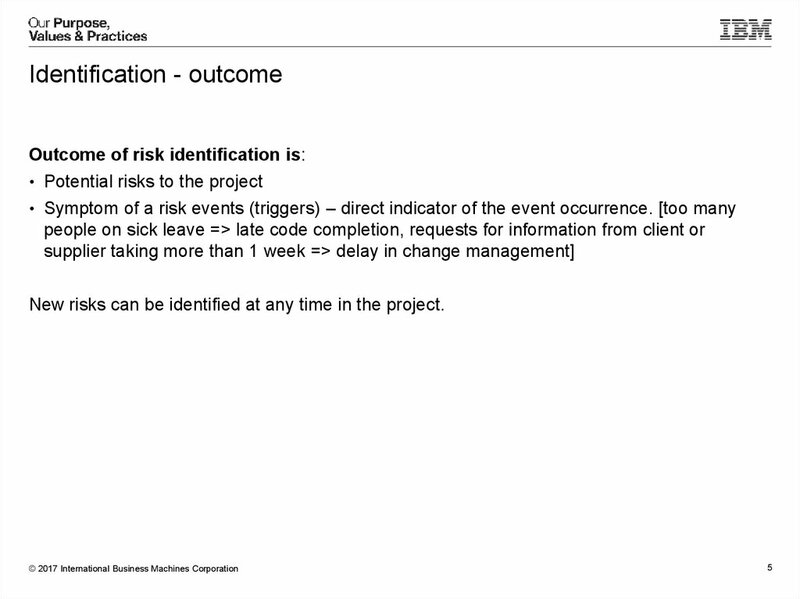 • Update project documents to reflect risk event occurrence. 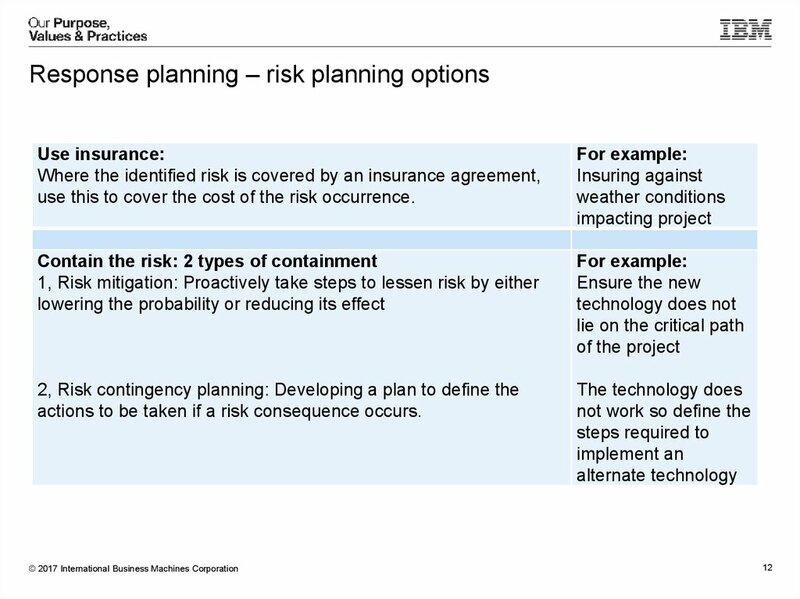 • Close the risk if appropriate.